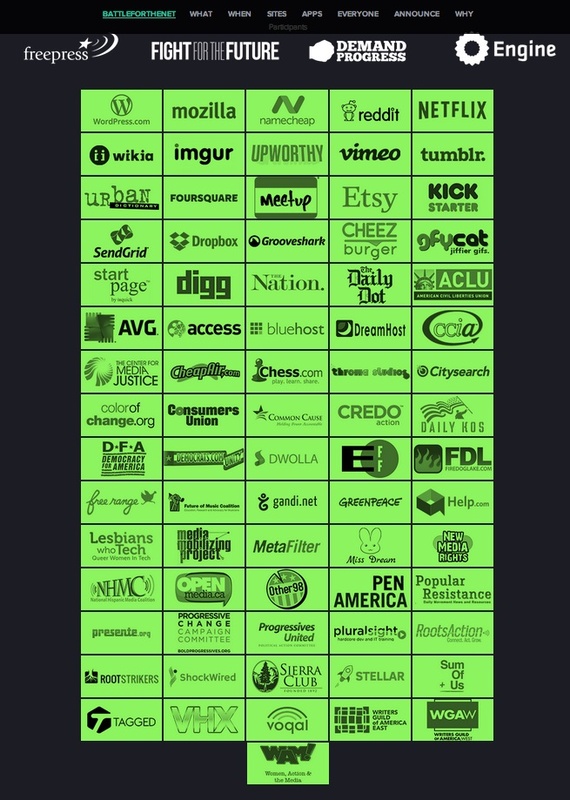 As the nation’s first startup agency in more than a generation, the Consumer Financial Protection Bureau has broken new ground in how it uses technology to create better Web products, publishes complaint data, shares software code, catalyzes innovation, uses the Internet to redesign forms, and, of course, regulates providers of consumer financial services. 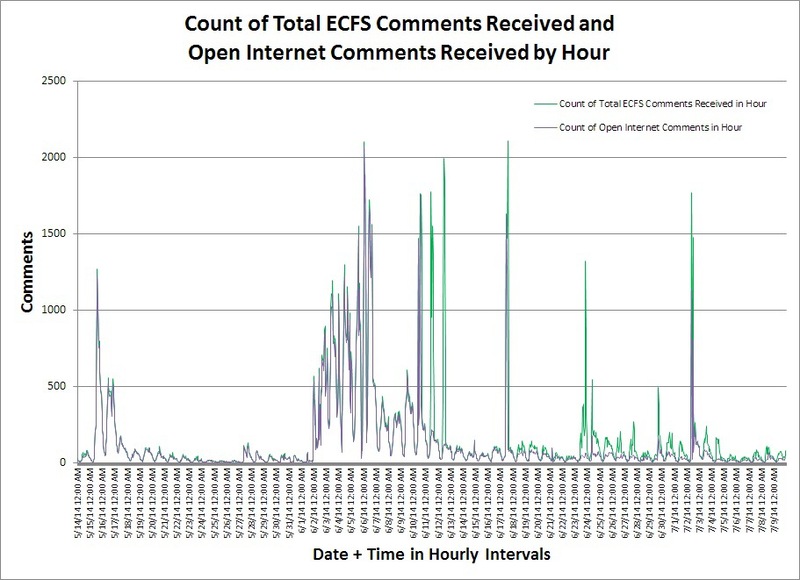 Now, it has floated a new proposal to create a consumer complaint database that would, for the first time, make the stories that consumers tell the regulatory agency public. 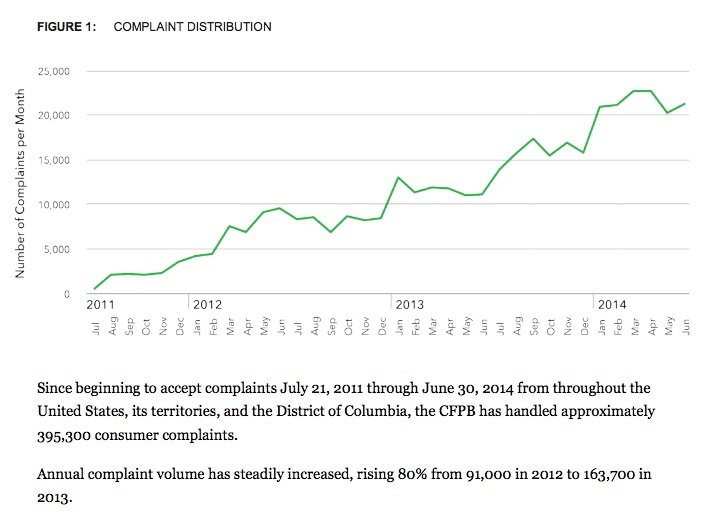 Today, the CFPB released an overview of complaints handled since the Bureau opened on July 21, 2011. (The graphics atop this post and below are sourced from this analysis.) 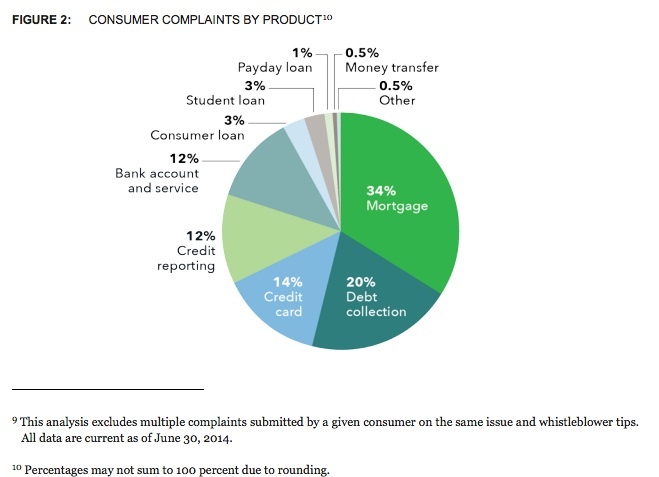 According to the data inside, up until June 30, 2014, the CFPB has handled approximately 395,300 consumer complaints. According to the overview, the World Wide Web has been a key channel for people to file complaints to the CFPB: 56% of all consumer complaints were submitted through the CFPB’s website. 10% were submitted via telephone calls, with the balance coming in through mail, email, and fax. The rest of the report contains tables and data that breaks down complaints by type, actions taken, company responses, and consumers’ feedback about company responses. Consumers could subsequently decide to withdraw their consent, resulting in the regulator removing the complaint from their website. Companies will be given the opportunity to publish a written response to the complaints that would appear next to a given consumer’s story. Getting that right is important — watch for powerful financial companies, their lobbyists and sympathetic politicians to raise privacy concerns about the proposal in DC in the weeks to follow. While it may not be apparent at first glance, however, the collection and publication of these complaints would have an important, tacit effect upon the market for financial services. By collecting, structuring and releasing consumer complaints as data, the CFPB could add crucial business intelligence into the marketplace for these services. This isn’t a novel model: the Consumer Product Safety Commission already discloses a public complaint database at SaferProducts.gov, enabling merchants and services like Consumer Products to give people crucial information about their purchases. 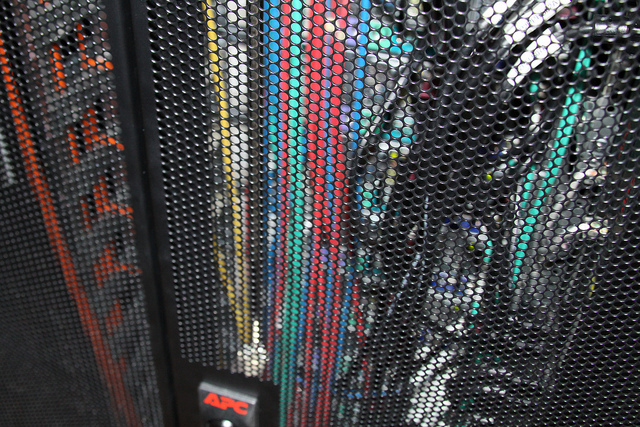 The SEC and FINRA would be well-advised to release financial advisor data in a similar fashion. Someday, complaints submitted from mobile e-patients may have similarly powerful corrective effect in the market for health care goods and services.